In 1839 French Artist Louis Daguerre became the first person to publicly announce the development of a photographic process, the Daguerreotype. For the next twenty years his method, which utilized the chemical reaction of light exposure on a sheet of silver plated copper became the most commonly used method of taking photographs. During the same period a British inventor, Henry Fox Talbot had been developing a more advanced method that allowed paper based photographs to be produced with a quicker exposure time, and although Louis Daguerre had been the first to announce his invention, the more rapid exposure time and better quality of Talbot’s photographs soon saw his method become the more popular method of making a photographic record. 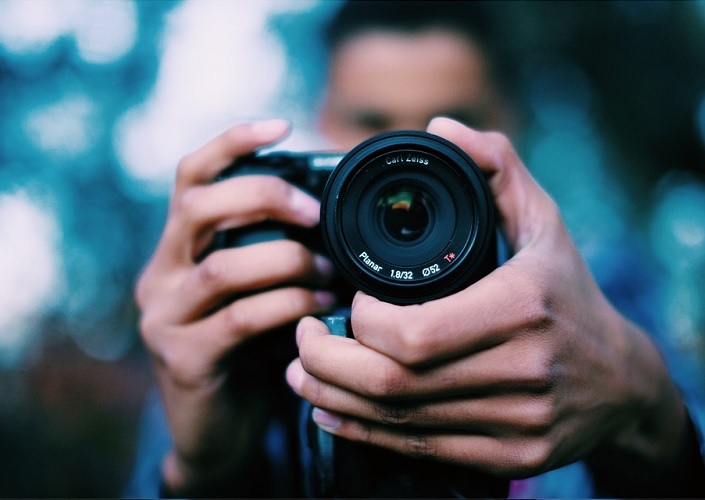 Since 1990 digital cameras have become commercially available and with the rapid advances in technology since then, traditional film-based photochemical photography has become more obsolete and marginalized as digital photography has become cheaper, more convenient and more popular. These days we all have a high-definition camera attached to our smart-phones, and taking a snap of a moment in time has never been easier, and throughout the history of photography there have been many photos that seem to defy a rational explanation and have left experts and pundits alike wondering exactly what has been caught on film, but what are the ten most mysterious photos of all time? Read on to find out. 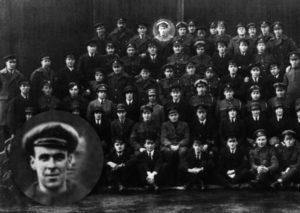 Way back in 1919 a group portrait was taken of a group of British service men and women who had served under Sir Victor Goddard aboard HMS Daedalus in World War I. When the photo was developed it was noticed that a ghostly face could be seen peeking out from behind another man in the back row of the assembled group, and other members of the group recognised him as Freddy Jackson, an air mechanic who had died in an unfortunate accident just days before, in fact his funeral had taken place on the same day the photo was taken. The photograph was published by Sir Victor in 1975 and has been the subject of much speculation ever since, but some researchers believe that the photo has a far more mundane explanation. It has been established that a Freddy Jackson did die in an accident at the base the photo was taken at, but several months before the photo was taken rather than just a few days previously, and it has been suggested that Sir Victor had a personal interest in the paranormal which may have clouded his judgement, despite this Sir Victor and other survivors of the group were adamant that the face was that of the late Freddie Jackson and the real truth behind the picture may now be lost to the mists of time forever. In September 1957 a B-47 was taken for a flight near Edwards Air Force Base in California, the flight was accompanied by another plane for the purpose of taking photos of the B-47 to analyse flight characteristics and when the photos were developed a strange anomaly was discovered. 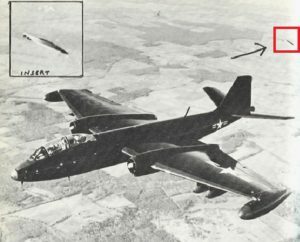 Even though nothing had been seen visually or by radar during the flight, one of the photos appeared to show a classic flying saucer type object following the B-47. 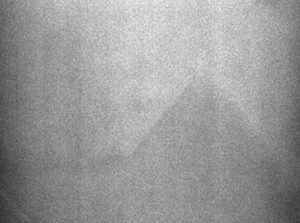 Explanations range from alien activity to nothing more mysterious than a mere scratch on the emulsion of the photographic plate, but as the original photo and negatives appear to have been lost at some time it’s unlikely that the real truth behind the photo will ever be known for sure. There is probably no greater testament to the ingenuity, inventiveness and tenacity of humankind than the Apollo moon landings, which took place from 1969 to 1972. The sixth and final Apollo mission, Apollo 17 occurred in December 1972 and saw Eugene Cernan and Harrison Schmitt spend just over three days at the Taurus-Littrow valley while Ronald Evans remained in Lunar orbit in the Command Service Module (CSM). The mission included three trips in the lunar rover and one of the objectives was to provide the most extensive photographic record of the lunar surface to date, with a total of 3,481 photographs being taken during the mission in total. The iconic ‘Blue Marble’ photo is perhaps the best known photo from the mission overall, but another photo, catalogued as AS17-135-20680 has become the subject of much discussion by many people since Apollo 17 left the lunar surface. It was one of the 10% of photos that was officially classed as over-exposed but when researchers adjusted the contrast a pyramid-like shape appeared that has created a buzz amongst those who believe that NASA is hiding the truth of ancient ruins on our moon. Researchers with a more serious frame of mind have concluded that the photo merely shows the seat and frame of the lunar rover up close as Cernan changed the rolls of film in his chest-mounted Hasselblad camera, and they have produced extensive analysis of the image that supports this thesis, but the dissenting voices will probably never be convinced of the likely truth of this conclusion. There are few photos that have created such debate online, or that have such a foreboding sense of creepiness than the Cooper family photo. 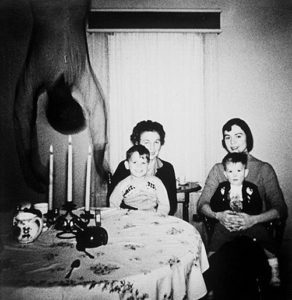 The snap displays a mom and grandma posing with two young boys, yet there is a dark mysterious figure hanging upside down to the side, apparently unseen by the family, as evidenced by their happy smiling faces. The photo appears to have been taken sometime in the 1950’s, however the earliest date that it has conclusively been proved to have been uploaded to the internet is in November 2009. The photo has been extensively analysed by many experts and no concrete evidence of fakery can be proven. The skeptical website Metabunk claimed to have been contacted by one of the boys in the picture, who disclosed that the family name was Copper not Cooper, and he further supplied other color snaps from the same day in 1959, however this evidence has also been called into question by photo experts who insist his claims do not hold up to intensive scrutiny. Analysis of the original photo has shown that if it is a fake it is at least an exceptionally well made one requiring many hours of effort in order to produce details that are unseen without sophisticated filters. The Cooper family photo remains a true mystery to this day and is still the subject of much debate and disagreement. As early as 1952, five years before the launch of the first human made satellite, Sputnik 1, scientists in America and Canada believed they had detected the presence of at least one artificial satellite circling the Earth. In 1966, Dr J Allen Hynek of the Air Forces Project Blue Book, which was set up to investigate the UFO phenomenon publicly stated that artificial satellites were confirmed to be in orbit above the Earth. In 1988 a NASA photograph, catalogued as STS088-724-66 appeared to show something unexplained, although the space agency described it as ‘Space Junk’. 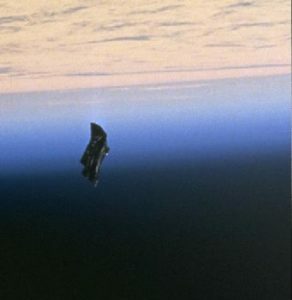 Since then the controversy has grown, with scientists insisting that the theories of ancient satellites put in place by long-gone extraterrestrials are nothing more than wild speculations and misguided conspiracy theories, and although the apparent existence of artificial satellites, as detected in the early days of the space race remain a mystery, the truth behind the object now dubbed The Black Knight satellite is believed to be nothing more than a discarded thermal blanket by the best minds at NASA. 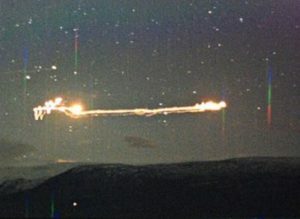 The Hessdalen Lights are an unexplained and regularly occurring phenomenon that take place in the Hessdalen valley in Central Norway. They manifest as lights, in a multitude of colors that sometimes last for hours, and sometimes for only a few minutes. Occasionally the lights move at great speeds and at other times appear to hover in mid-air. The lights have been seen since the 1930’s but became a regular occurrence in the early 1980’s when they appeared as frequently as 20 times per week. Scientists from Ostfold University College set up the Hessdalen Automatic Measurement Station in 1998 to record the phenomena, and despite hundreds of instances of the lights being observed no concrete evidence explaining their appearance has ever been put forward by the experts. The longest Snake that has ever been captured is a reticulated python called Medusa who stretches out to just over 25 feet long. Medusa is apparently quite a willing performer at the Edge of Hell Haunted House in Kansas City where she lives and works, and is known to purr when shes happy. The longest snake ever reliably recorded was a 32 foot Python that was caught and killed in Indonesia in the early 1900’s, but both of these huge serpents are nothing compared to the monster that Belgian pilot Remy Van Lierde claimed to have seen in the Congo in 1959. 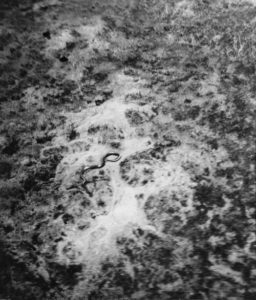 Remy was flying a helicopter over the jungle when he spotted a snake he estimated to be over 50 feet long, he made several passes over it so a passenger could photograph it. Remy claimed that the snake’s head was three feet long and two feet wide, and that it rose 10 feet into the air as he passed, as if to strike the helicopter if it had been in range. The photo is widely believed to be entirely genuine, although the size of the snake cannot be accurately judged from the photo alone. By far the most disturbing photo in our list is the Polaroid photo found by a woman in a parking lot of a Florida food store in June 1989 that appears to show two kidnapped children who were gagged and bound. 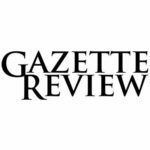 The woman, upon discovering the photo immediately contacted police and explained that the photo had been where a white windowless Toyota van had been parked when she arrived at the store. The police quickly set up roadblocks in an attempt to stop the van, driven by a man in his 30’s, but they had no luck and with no further leads, the trail went cold. Eventually after analysing the Polaroid it was established that the photo had been taken no earlier than May 1989 and the story was related on various crime shows. Eventually circumstantial evidence suggested that the girl in the photo could possibly be Tara Calico, a 19 year old who had gone missing from her home town of Belen, New Mexico in September 1988, but it could never be established as a fact that the girl actually was Tara. The photo remains a disturbing mystery and Tara has never been found. 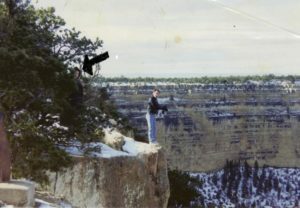 In 2012 Reddit user ZombieGadaffi posted a photo taken in the late 1970’s or early 1980’s showing his uncle posing for a photo on the very edge of the Grand Canyon. As ZombieGandaffi told it, his uncle had visited the Grand Canyon with friends and the snap had been taken without anyone noticing anything unusual at the time. Upon returning home and getting their vacation photos developed a strange hooded figure had been noticed, hiding in bushes just a few feet behind his uncle. Internet savvy Reddit users had claimed the picture was a hoax or photo-shopped, but ZombieGadaffi, who had previously made no posts regarding supernatural events, insisted the story was true, and subsequent analysis of the photo entirely ruled out any kind of manipulation of the photo. Although the facts behind the photo cannot be clearly established, the hooded figures appearance is undoubtedly creepy, and not entirely unlike the grim reaper himself. Debate over the truth of the tale continues to take place to this day. For decades people have been searching for a photo that quite possibly never existed at all. 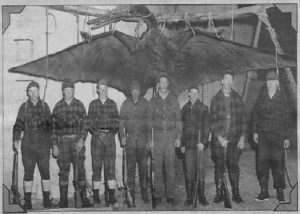 Thousands of people can recall seeing a picture of a gigantic bird or flying reptile of some kind nailed to the side of a barn, either in books, a magazine or a newspaper, but the picture, if it ever existed at all has now disappeared without a trace. Stories of Thunderbirds, giant flying creatures of immense size and strength have been related for centuries, and were a legend in many Native American tribes, but their existence has never been proved and the creature is considered to be an urban legend by many, yet still huge numbers of people can recall the picture of one in exact detail. Sightings of Thunderbirds have been reported all over the United states during the 20th century, but like Bigfoot, conclusive photographic proof of them is still yet to be established. In the internet age many pictures purporting to be the lost thunderbird photo have appeared, yet without exception they have all been proven to be hoaxes.